Coloured mosiac giving me Angel wings! Today I was asked via messenger what my top three colours were. The person I was chatting to was fishing, so they could set our chat to a personalised colour. Such a simple question about what my favourite colour is has opened such a Pandoras box for me, it just goes to show, the Power of Colour and how it plays so strongly in our lives, mostly without our awareness. I answered with Purple, Green and Pink. With my response I asked him what his top three colours were. His choices were Grey, Black and White. “Hmm, They aren’t actually colours.”I replied. Having studied Art and actually paying attention in Science class I know this. I could have kept quiet and agreed, however I was curious why he chose such bland shades above the myriad of other choices. His response I got took me by surprise. “So if they aren’t colours. Why do racist people called me Coloured?” (FYI He has a very dark complexion). “Plain and simple, they are ignorant and assholes” I replied. Nevertheless, his comment had me thinking all day about the power of colours, about racism, and how people perceive the world. I see PEOPLE. I see souls, I see creativity, I see passion, I see love or hatred, I see stuff. I don’t see a particular race or type of person. This is not what everyone in the world sees though. I can’t even imagine how other people see or perceive and I don’t want to. I’ve studied Colours, when I studied Design. In design, colours can actually influence our mental State. Certain colours have been known to increase Blood Pressure, metabolism and Eyestrain. Colour Psychology is a hot topic in interior design, marketing, Art etc. Think about the Logos of the companies you love, think of an advertisement that caught your eye in your favourite magazine. The colours used, were carefully selected to induce a feeling in the viewer. This is all on purpose as every colour elicits a different and unique emotional response in the viewer. I could describe each colours features and feeling they evoke, but I will keep it to one. Purple, has been long associated with Royalty, it’s a spiritual colour, darker shade can be associated with creativity, imagination and dreams. Purple also creates an air of luxury, even decadence. Which is why it’s frequently used in advertising as a dominant colour to create a sense of elegance, or high-end appeal. In contrast, lighter shades of purple, lavender evokes romance, and the season of Spring. Darkening the purple shade will transform the romantic elements of the colour to be more sensual. The spiritual element of the colour purple is because its been thought to inspire and enhance psychic ability and spiritual enlightenment, while, at the same time, keeping us grounded. 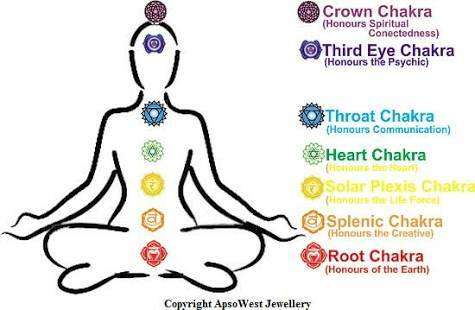 I’ve also studied the Body’s Energy, or Seven centres of Spiritual power in the human body called Chakras, which also have a colour strongly represent them. Purple/violet is the colour for the Crown Chakra. I could talk all day about how colours can inspire and evoke emotions. Why does one have a favourite colour? Why does a particular colour inspire me and not you? Why and how does a child choose their favourite colour? I would love to hear your thoughts on this, What your favourite colour is, Why you choose a particular colour and how it makes you feel! Feel free to comment a colour of your choice below and I can explain the psychology of it for you 😍.